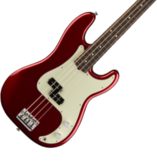 Fender® Forums • View topic - Mustang V Head - V1 to V2? Mustang V Head - V1 to V2? Post subject: Mustang V Head - V1 to V2? I purchased my Mustang V Head in December 2012. Now I see there is a V2 with additional presets (Green Screamer etc). Is it possible to upgrade the software / firmware of my Mustang V to V2 spec? Post subject: Re: Mustang V Head - V1 to V2? i have the mustang III v1 and i was also wondering if the v2 firmware will work with my amp. I don't think your going to get a response from Fender about this. Maybe they will and maybe they won't. Although I haven't tried it, I'm fairly sure that you can't. FUSE probably has some safeguards to keep you from doing it. But, even if you could get around that, there is a good chance you could brick your amp (and void your warranty too). which is probably for MIII/MV amps. If your the gambling type, let us know what happened. Why shouldn't it be possible to have Mustangs V1 upgraded to V2? At first sight from the outside no hardware changes to be noticed? 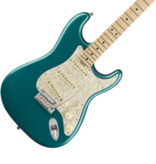 If you read through this thread (warning - 5 pages ATM) you'll learn that Musicmaster2 contacted Fender support over the phone and was told it couldn't be done because it was a new chip. But later in the thread, a few of the more technically savvy users questioned this explanation. At the end of the thread, jedi2b gives a link to a page that states that Line 6 is doing exactly this for it's customers. Personally, I'm not all that smart to know for sure if it is or isn't technically possible but it seems reasonable to me that it is. 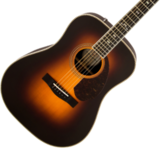 The problem is that Fender seems unwilling to discuss it in the open and that is saying enough right there to show that no update is likely to become available. 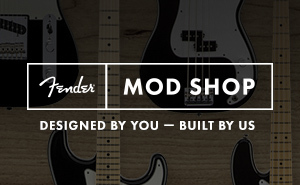 I don't think Fender is lying or anything like that. The V2 has XLR out's and the V1 doesn't, so there are definately some hardware changes, which would indicate there could very well be true incompatibilities. Guys, I have a question: I'm willing to buy the v.2 head and the v.2 cabinet. I saw the differences they've (Fender) listed between these 2 series but I want to ask an OWNER how is v.2 like. How does it sound on stage (as an amplifier, not with its effects, only trough a Guitar-Effects-Proccesor)? I've tried to get my Fender Mustang II (v.1) on stage, to amplify it with a microfone but I couldn't do that because when I turned the Mustang power switch on, everything begun humming like hell. Some said it's a matter of grounding, but after that I've tried that again on an other stage, with very very good equipment and the buzz and humm was there again. 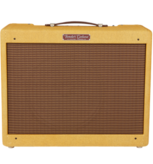 The bottom line: have anybody tried the v.2head+v.2cabinet ON STAGE? Does it hiss, hum or buzz? Or does it make abnormal noise at all? I got a v2.2 head and cab, I haven't had it on stage....but once the speakers broke in it actually sounds quite good.....was having my doughts cause it was kinda muddy fer the first lil while. It's very loud too, and also very directional!! Ya gotta walk away and check every setting change ya make cause it sounds very different depending on where you are located in relation to the amp. Wish it had WiFi to make changes. You won't be disappointed, well maybe for a lil bit until you learn how to use all the settings......lol.